In business, the faster you can deliver on a promise, the better. The three powerful, high-end laptops discussed here deliver data in microseconds. Each rates a chart-topping 5.9 on the Windows Experience Index, a score you can see in the Control Panel for each model. They're packed with the fastest Intel Core i7 processor available. They all max out on RAM, too. So if each one hits the highest score, how do you know which one is really blazingly fast? How do you know which one will work best for finishing a sales video or touching up a photo you need for a marketing brochure. To find out, CIO.com put these workhorse machines through a few photo and video editing tests. One clear winner emerged. Two unique features on this powerful high-end laptop set it apart. One is that the screen rotates into tablet mode; you just grab the screen, flip it up and it fold over. Unlike the iPad Air or a tablet such as the Nokia 2520 - neither of which run desktop apps - the Sony Vaio Flip 15 ($1,799) has a fast Intel Core i7 1.8GHz processor, not a slower mobile processor. Secondly, images look incredibly crisp on this laptop's high-resolution 2800 x 1620 screen. In our Adobe Photoshop CC test, an image resize to 600 percent took 1 minute, 16 seconds. In Adobe Premiere Pro CC, exporting five seconds of a 4K movie took 1 min, 7 seconds. Overall, that's the slowest of the three laptop models tested - though it's still plenty fast for such high-end work. As with any upper-end laptop, the Sony Flip 15 is equipped with quite a few extras: Bluetooth 4.0 for low-power connections to accessories like keyboards and mice, near-field communications (NFC) to sync gadgets quickly with a tap, and Intel Wireless Display (Intel WiDi) for connecting to an HDTV in a conference room over wireless. The Flip 15 we tested lasts five hours on a charge, has 12GB of RAM and a 1TB drive, and weighs about five pounds. This laptop wins hands-down for extra features and the most spectacular display you'll find on a PC. Only Apple makes laptops with a better display. For speed tests, though, it was a bit slower than the rest. In my Adobe Photoshop CC test, an image resize to 600 percent took 46 seconds. In Adobe Premiere Pro CC, exporting five seconds of a 4K movie took 55 seconds. Those results were the best of the bunch - but not quite as barn-burning as expected. The ZBook 15 lasts five hours on a charge, mainly due to the powerful onboard graphics that supports the HP DreamColor display. With 16GB of RAM and 750GB of storage, the ZBook has exceptional power. The unit we tested weighs 6.2 pounds and has a 2.7GHz (or 3.7GHz in turbo mode). The HP ZBook has Bluetooth 4.0 for connecting consumer devices, but there's no NFC for quickly pairing devices with a tap or Intel WiDi for displaying the laptop on an HDTV or projector over a wireless network. The HP ZBook 15 is the laptop you want for raw speed. It also has a Thunderbolt port for lightning-fast transfer to drives such as the G-Technology G-Drive Mobile. 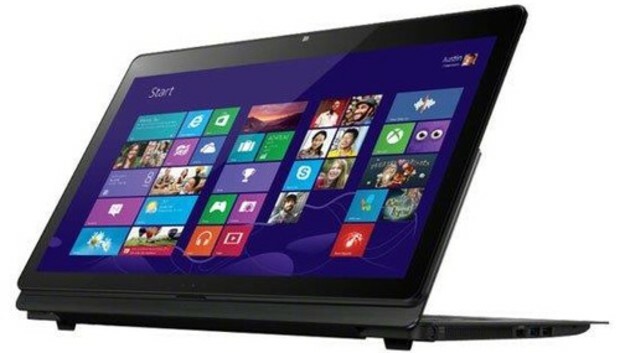 The Acer Aspire V3-772G-9402 ($1,099) is a high-end notebook without the high-end price. There are few extras, since this is a serious work machine. The NVIDIA GeForce GTX 760M graphics card helps make video and photo-editing tasks much smoother. There's a 2.2GHz processor and 12GB of RAM. The V3 is a bit hefty at 7.05 pounds, and it lasts only four hours on a charge, but is has a huge 17.3-inch display that makes it a good stand-in for a desktop machine with a widescreen monitor. In our Adobe Photoshop CC test, an image resize to 600 percent took 53 seconds. That's only a hair longer than the HP ZBook took. In Adobe Premiere Pro CC, exporting five seconds of a 4K movie took 58 seconds. Again, only a bit longer than the ZBook. The V3 does have Bluetooth 4.0, which helps you stay current when business gadgets such as keyboards and mice use that low-power wireless signal. (For now, it's mostly used for consumer gadgets.) The V3 doesn't have NFC for syncing gadgets with a tap or WiDi - only the Sony Flip 15 has all three of those extra features. Why did we pick this power laptop? The blazing speed and the price. It lacks the overall graphics prowess of the HP ZBook 15 or the extra features and stunning display quality of the Sony Flip 15, but it's fast and inexpensive. That's a rarity these days.